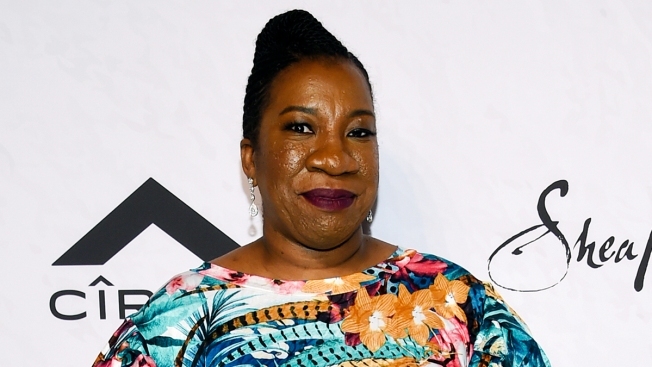 In this April 13, 2018, file photo, activist Tarana Burke, founder of the MeToo movement, is seen in New York. Three women influential in the #MeToo movement are getting an MIT award that rewards disobedience for the good of society. The MIT Media Lab Disobedience award carries a $250,000 cash prize funded by LinkedIn co-founder Reid Hoffman. This year's prize will be shared by Tarana Burke, BethAnn McLaughlin and Sherry Marts. Burke is an activist who coined the phrase "Me Too" more than a decade before it became a slogan for survivors of sexual violence. McLaughlin and Marts have worked to combat harassment in science fields. Organizers say the award highlights effective, ethical disobedience across disciplines like scientific research, civil rights, freedom of speech and human rights. Four finalists will each get $10,000. Last year's award went to two people who exposed problems from lead-tainted water in Flint, Michigan.